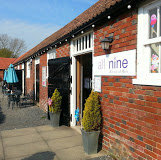 Calli’s Corner Imprints & Castings are available at AllNine Maternity and Baby, Chalkpit Farm, Bekesbourne. Calli’s Corner imprints and Castings are on display at All Nine. AllNine is a gorgeous Maternity and Babywear shop. The shop is full of wonderful surprises and set in the lovely rural surroundings of Chalkpit Farm in Bekesbourne near Canterbury. Lots of free parking and several other small shops including a coffee shop are here set in a pretty courtyard area. Rachel the owner of AllNine offers a warm welcome to all her clients so click here to visit the AllNine website to find out more. To book an appointment for your Calli’s Corner Imprint or Casting at AllNine visit the Calli’s Corner Booking page or browse our website for inspiration and follow the links. 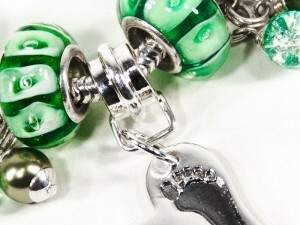 This Independent Maternity and Baby shop is well worth a visit, you won’t regret it! Calli’s Corner have been working with AllNine creating beautiful Imprints and Castings for families locally for the past two years and we are looking forward to working together for many years to come, so tell your friends about this little jewel in the Kent countryside.